Concern that hiring an individual with a criminal history could open the employer up to legal liability if the individual commits a crime in the workplace or harms co-workers. The bill is sponsored in the House by Democrat Representatives Jovan Melton (Aurora) and Leslie Herod (Denver). 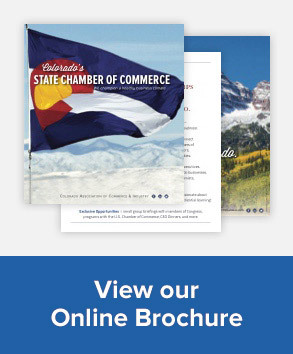 Representatives Herod and Melton worked with the Colorado Chamber and its business allies to craft a bill that met the concerns of the business community. Consequently, the Colorado Chamber’s Labor and Employment Council recently voted to take a neutral position on the introduced measure. On Tuesday, the House Judiciary Committee amended and approved HB-1025 by an eight-to-two vote. Four amendments (L.001, L.002, L.004 and L.005) were added to the bill to further address some of the concerns of the Colorado Chamber. Of the four minority Republicans on the Committee, only one—Representative Matt Soper (Delta)—voted with the majority Democrats for the bill. Next stop for the bill is the House Appropriations Committee. Inquiring about an applicant’s criminal history on an initial application. An employer may obtain a job applicant’s criminal history at any time. The department of labor and employment is charged with enforcing the requirements of the bill and may issue warnings and orders of compliance for violations and, for second or subsequent violations, impose civil penalties. A violation of the restrictions does not create a private cause of action, and the bill does not create a protected class under employment anti-discrimination laws. The department is directed to adopt rules regarding procedures for handling complaints against employers. For a slightly different perspective, here’s the introduced bill’s Fiscal Note, also prepared by non-partisan legislative staff. This bill prohibits an employer from stating in a job posting or on any form of application that a person with a criminal history may not apply. It also prohibits an employer from inquiring into or requiring disclosure of an applicant’s criminal history on an initial application. These rules do not apply if an employer is advertising a position that federal, state, or local law prohibits individuals with specific criminal convictions from holding. The bill does not apply to the state, a local government, or a quasi-governmental entity, or a political subdivision of the state. The bill also exempts any employer hiring as part of a program to encourage the employment of people with criminal histories. An employer may continue to obtain a criminal background report during any stage of the hiring process. third or subsequent violation: a civil penalty of up $2,500. CDLE must adopt rules regarding procedures for handling complaints filed against employers, including rules for providing notice to employers and requirements for retaining and maintaining relevant employment records during an investigation. For more information on HB-1025, contact Loren Furman, Chamber Senior Vice President for State and Federal Relations, at 303.866.9642. “Business leaders drop opposition to ‘ban the box’ bill as it advances in Colorado Legislature,” by Ed Sealover, The Denver Business Journal, January 30th. “Colorado Democrats want to ban criminal history questions from job applications,” by Anna Staver, The Denver Post, January 29th. “Capitol Business Preview: What businesses to know this week at the Colorado Legislature,” by Ed Sealover, The Denver Business Journal, January 28th.